She's a gorgeous girl with a glossy mane of hair so it's not surprise Pantene have announced Liv Tyler is the new 'face' for a range due to hit shops November 1st. Liv is a natural beauty, graced with all her dad's best bits (lips) and she has a ethereal like beauty about her. And her hair is lets face it, pretty amazing to. Gorgeous brunette with great shine she's the perfect example of healthy looking hair. 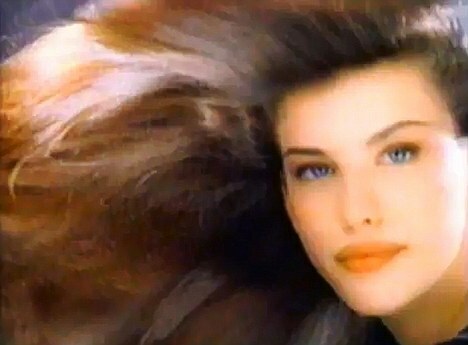 Liv is no stranger to the Pantene brand, having first appeared in a Pantene advert back in 1996! She may look a little older now but the hair is still lovely! Would Liv's locks encourage you to buy Pantene? yeah i would be encouraged to buy pantene if my hair would look as gorgeous and beautiful as hers... she is definitely a perfect endorser for the product... loved your blog..following you now.. hope you could visit my blog too... kissess!!!! Kate, doesn't it just! I want that shine! Jen, you are ad savvy. :) What about all those that moaned when they didn't get Cheryl Cole locks using Elvive?! They certainly fell for it!